Tonight has not been a fun night. I have been having Old Blue Blues. I was already leaving work late when troubles started. As I started up my car a message came up about low tire pressure. My first thought was that I had another tire sensor problem, but after inspection found that my right rear tire was indeed flat. I was definitely not wanting to try and change a tire by myself and since I have OnStar with roadside assistance I made the call. It is actually good that I did not attempt it myself. While waiting for help to arrive I sat on a picnic table behind our office and read a book. I have really been enjoying the book I am reading so it was nice to have some time to read. It was nice that there was a big light just above me. 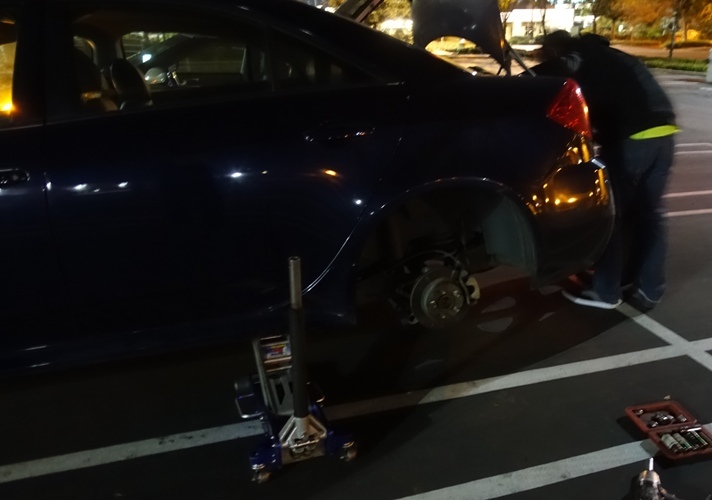 When taking the small spare tire out of the trunk the roadside guy found that it was very low, but luckily he had an air pump among his equipment. He soon had my tire off and had the small spare installed. 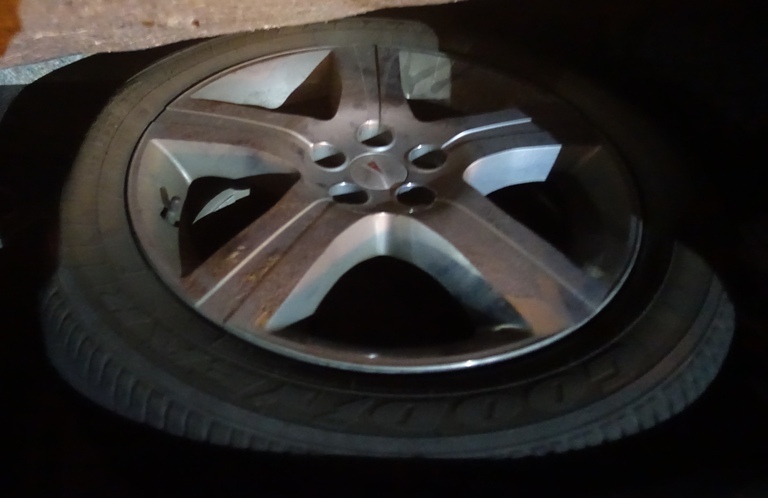 He rolled the tire and found that there was a nail in the tire, so hopefully the repair will be quick in the morning. Once he was done and the paper work signed I hopped in Old Blue and turned the key and the car would not start. The battery did not have enough power for the starter. This was really weird as I had just started it. There was then a wait as we had to recontact roadside to approve him to jump start Old Blue. We then found out that the battery terminal was heavily corroded. Looks like I may need a new battery as well. 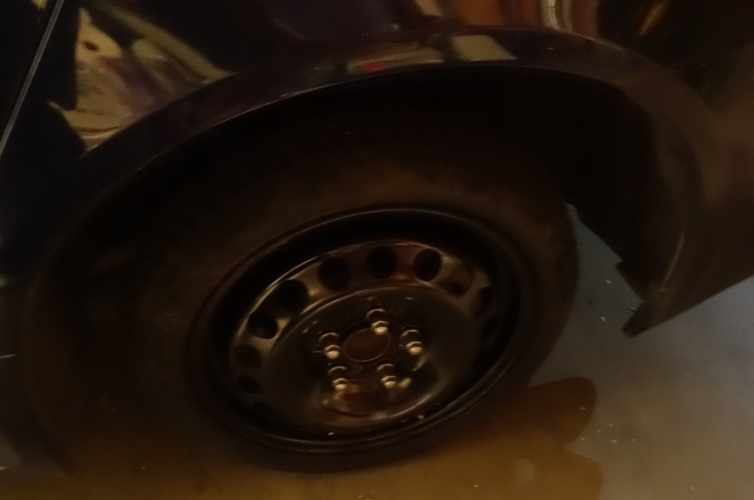 Of course, I now had the little spare on the car with the recommendation to not drive more than 50 miles an hour. Luckily, it was a bit late with less traffic so I was able to take surface streets and back roads without too many people being inconvenienced by me driving a bit slower. In fact most of the way home the speed limit was less than 50. I made a quick pit stop at home to drop off a few things. 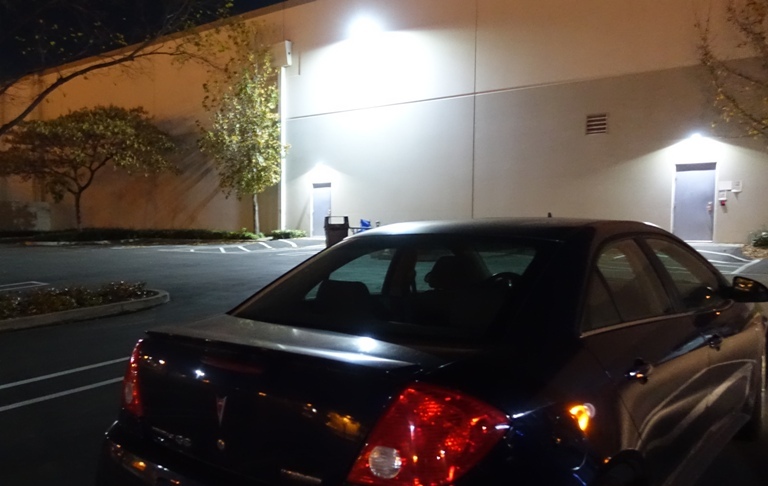 I did not shut off the car, I let it idle in the open garage as I quickly emptied the car and changed into walking shoes. I then drove the car to the dealer and dropped off the keys in the night drop so it can hopefully be fixed first thing in the morning. I then got in a nice evening walk of about two miles and finally was home at about 10. Now to see what tomorrow brings. I am teaching a class, so can’t just take a day off to get things done. Tomorrow may be a bit stressful if it takes a long time to fix Old Blue. I may be able to get a substitute teacher for an hour or two, but that is about all I can delay before I need to be there. 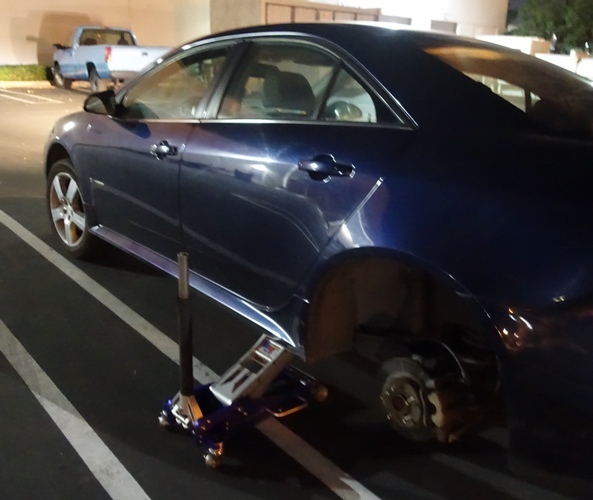 This entry was posted in Culture and tagged battery problem, Blues, Car Trouble, flat tire, nail in tire, Old Blue, spare tire. Bookmark the permalink.